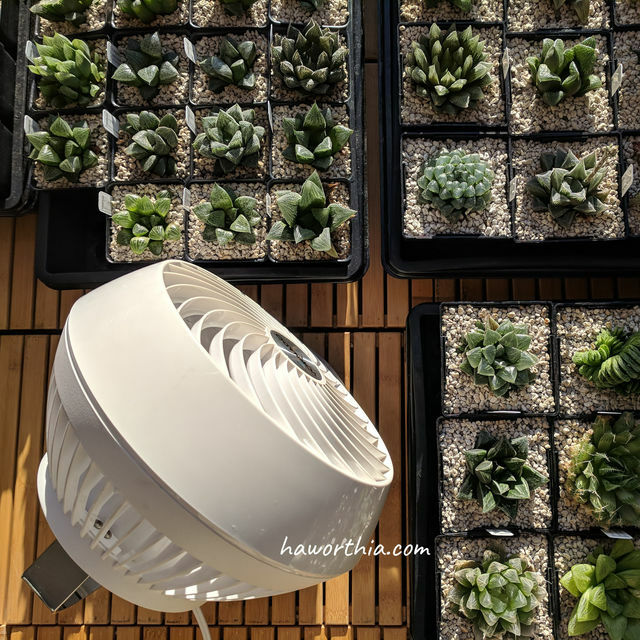 A good ventilation is essential to Haworthias. It is especially important at night when Haworthias collect carbon dioxide for photosynthesis. In a still air, the collection becomes less efficient after the ambient carbon dioxide is consumed. In an enclosed space (for example indoor), fans can be used to keep the air moving. Put fans in oscillating mode so that the growing medium won’t dry out too quickly.